Lexi is a 5th generation Utahan who applies a zealous fanaticism to her passion for skiing. It must be in her genes, as she started skiing at age 3, following in the ski tracks of her mother (who typically wore jeans while skiing in the 70’s). Having never skied outside of Utah until age 19, Lexi moved to the Pacific Northwest for college and discovered the unique sensation of skiing in the rain. 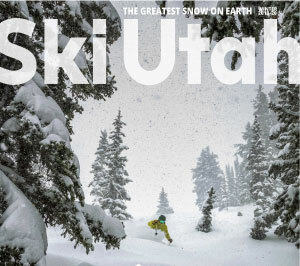 It was her desire for softer, drier snow that led her back to Utah’s storied slopes. Lexi is a freelance (skilance) writer and social media manager who also runs the nonprofit International Freeskiers & Snowboarders Association, organizing over 80 competitive freeride skiing and snowboarding events. Give her a wave when you find her swooping down the slopes of Utah’s famed resorts or trucking uphill in the Wasatch backcountry.